In terms of architecture, a building must meet three requirements: the functional requirement, the technical requirement and the artistic requirement. These three elements are always closely related. A design work that has all three elements is considered successful. 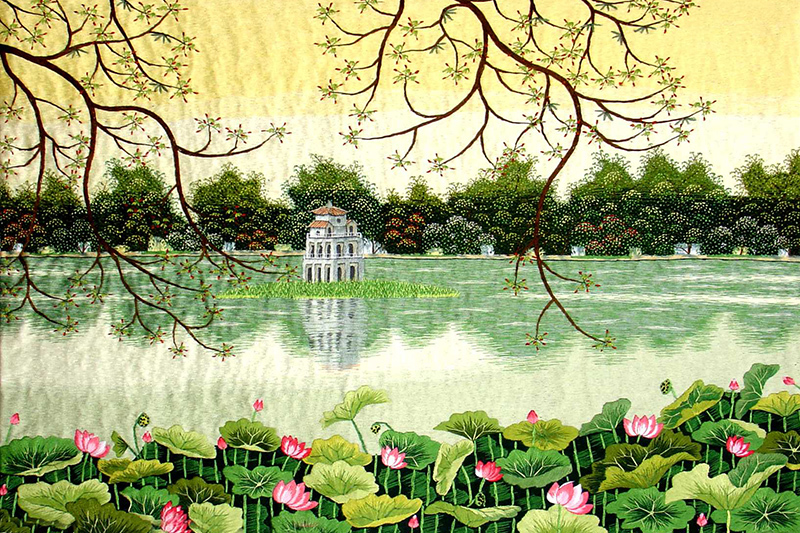 The lotus image has become one of the icons in the design ideas of many artworks. 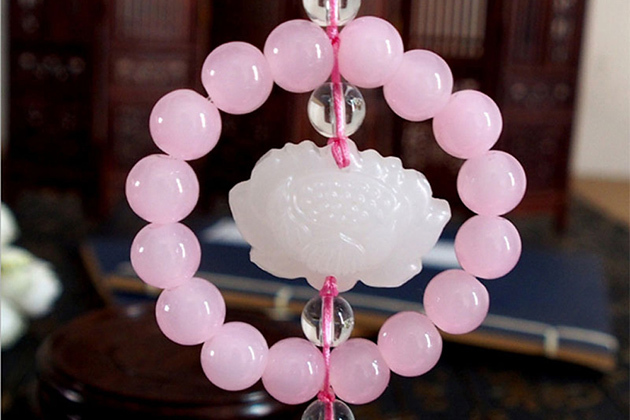 Lotus is the flower closely associated with human life for a long time. Especially in Buddhist thought, the lotus is very precious and occupies a very important position. 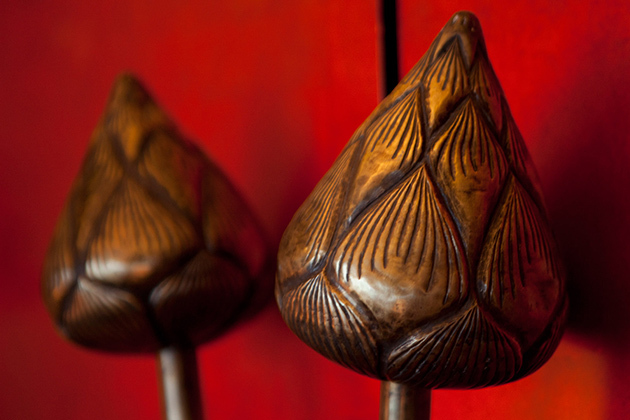 Therefore, in traditional architecture, the lotus is always an artistic image carrying religious belief. Initially, the lotus was planted in front of the three-arched-entrances gate and two sides of the pagoda. Later, this is embedded in the architectural details and becomes familiar. It was often found in the main places of worship of the pagoda, from the stone relief to the stone plinth, from Buddha statues to richly-ornamented pottery. Dien Huu Pagoda is one of the first pagodas in the history of Vietnamese architecture. There, the lotus image appeared in a very special way – a simulation of a lotus placed in the middle of a lotus pond. If Dien Huu pagoda is a thousand-petaled lotus image erected on a pillar, Pho Minh pagoda gives us a new look at the development of a multi-storey tower model with the image of the lotus through the carved decorations on the lower body. The sculpture has greatly contributed to the artistic value of the buildings. It can be seen that sculpture is always attached and is an indispensable work in the ancient architecture. In the process of artistic creation, sculptors brought their feelings about nature into their works and then stylized them according to folk sense. At the Cat Tien monument (Lam Dong), the lotus image is used on many different materials: gold, stone, brick,… Sometimes it is embossed on golden leaves in the pillar, sometimes it is the handheld of the gods or engraved on the brick as the decorative pattern on the wall of the tower. Lotus is one of the images displayed in almost all of the artworks of Cham architecture and sculpture. The artwork “Brahma God” in My Son Gallery expressed the Visnu god holding a blooming lotus with many petal spreads and the Brahma God sitting on the stylized lotus. The artwork associated with the creative rebirth of Brahma – also known as The Creative God. Therefore, the lotus here brings the reincarnation philosophy of life. The most famous statue of Ly Dynasty is the Amitabha statue of Phat Tich pagoda. The statue depicts the Buddha sitting on a lotus tower and sermons. The lotus tower and the pedestal for statue are shaped into a multi-layered pyramid as if the tower lifted the Buddha up. The whole statue gives us an impression of the enlightenment and the static mind. 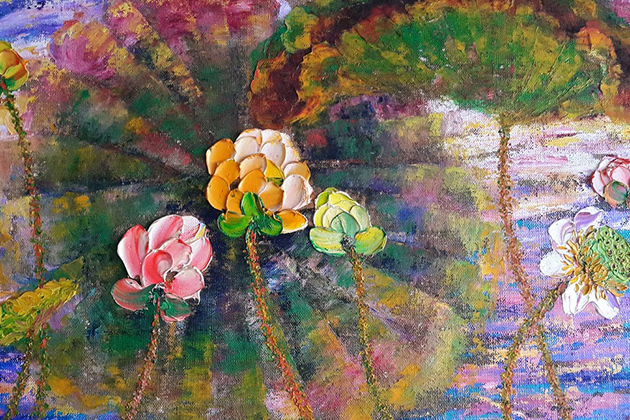 Lotus is a close and eternal topic to many generations of Vietnamese artists. There has been many paintings of lotus and beautiful woman beside the lotus, from “Girl beside the lotus pond” (Lacquer 1938) of Nguyen Gia Tri depicts the girl in traditional long dress freely rambling beside the lotus pond; To Ngoc Van “Young Woman with Lotus flower” (oil painting – 1944) shows the image of a young lady wearing a yellow traditional long dress and enjoying the fragrance of the lotus. 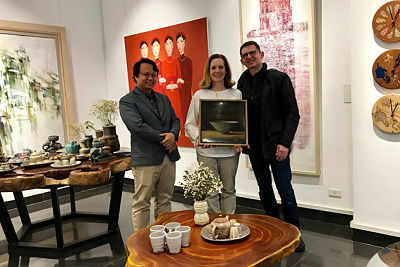 Nguyen Sang – the king of Vietnamese lacquer painting also have the picture of the lotus, with a girl thinking deeply beside a lotus vase. The harmony between people and flowers made up the discreet but very gentle beauty of the girl in the painting. The pattern of the lotus flower on the long ribbon combined with other motifs has formed a combination of patterns, on which we can clearly see the style of each period. If big petals are interspersed with small petals and the pattern is meticulously elaborated is the pottery decoration style of the Ly dynasty; the flattened lotus petal and the round petal head belong to the decorative style of the Tran dynasty. The ceramic art of Ly and Tran dynasty has shown a special step in the history of pottery and played a very important role in the development of Vietnamese pottery art. It has reached the pinnacle of fashion and style. Modern Vietnamese art has been inherited from traditional art with many valuable and unique heritage. The lotus image in ancient art contains both philosophy and aesthetics. Many generations of artists have achieved success by exploiting the source selectively and creatively. Their artworks are nationalistic and also bring the breath of modern life to meet the increasing aesthetic demands in life in integration with the development trend of the world.